4 more boxes of halves, 40% of them no reeded edges. Was getting discouraged, no silver since the first box the first days of January. 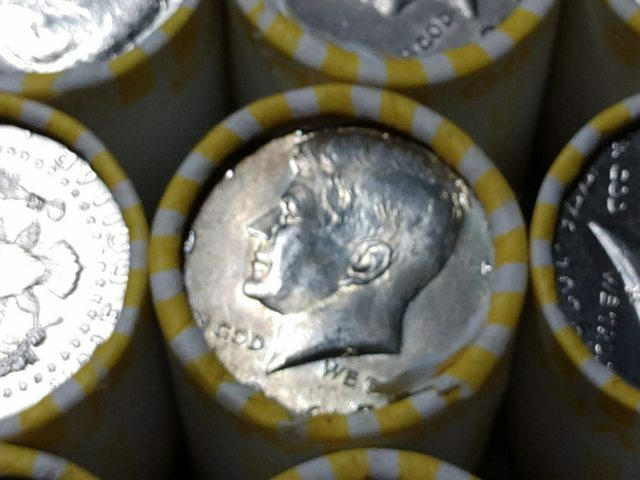 Found a 1968 D 40% in the 4th box. Yes, same here - except the boxes are clearly not machine rolled. 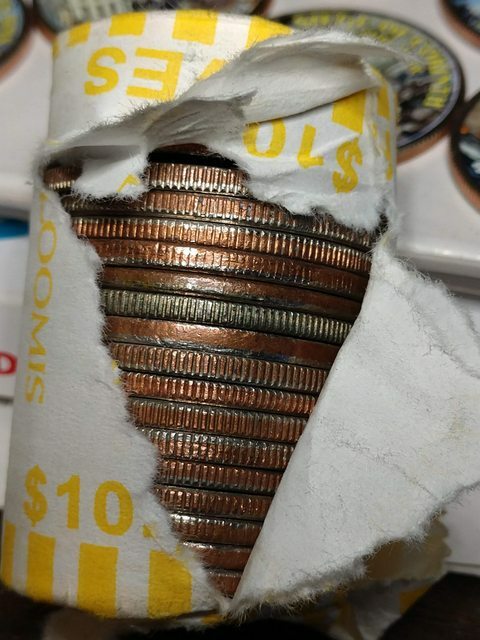 Every roll is either opened and re-wrapped or slit along the side. To me, this is even worse than regular skunks because there is no suspense involved - we know the rolls are someone's rejects. Interesting, out of 8 such boxes, one sliced roll produced a single 40% half - missed by the slicing edge hunter because it was hiding under the paper crimp. 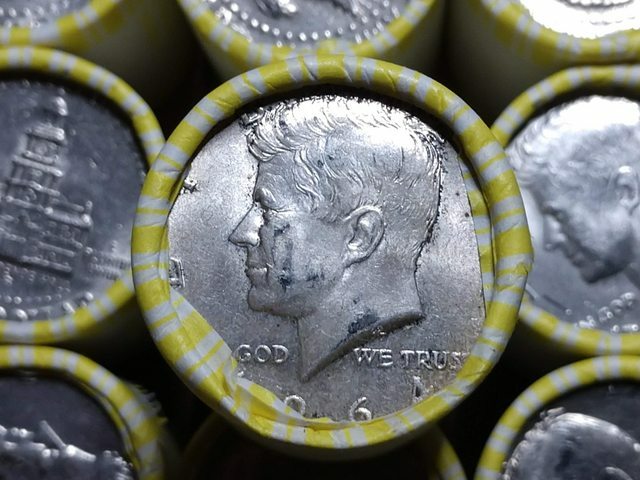 Went by the coin shop and bought 45 40% Kennedy's for $2 each that is 34 cents less than melt each! That's an excellent price to put some silver away at very little risk. Got two boxes today, opened them to look for enders, found only one, but that is ok as I haven't had an ender in about 5 months. I love the enders. I think it is the suggestion that more may be hidden within. My wife got a Franklin reverse ender last night but neither of us thought to take a pic. Next time. 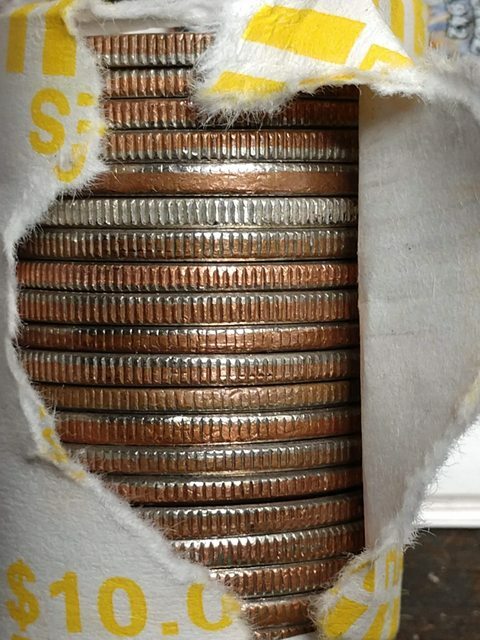 There's always something exciting and special at finding an ENDER first. Maybe it's a sign of better things inside. Went to the ATM today to get some grocery money, usually just drive past the teller but this time decided to ask for halves or large dollars. 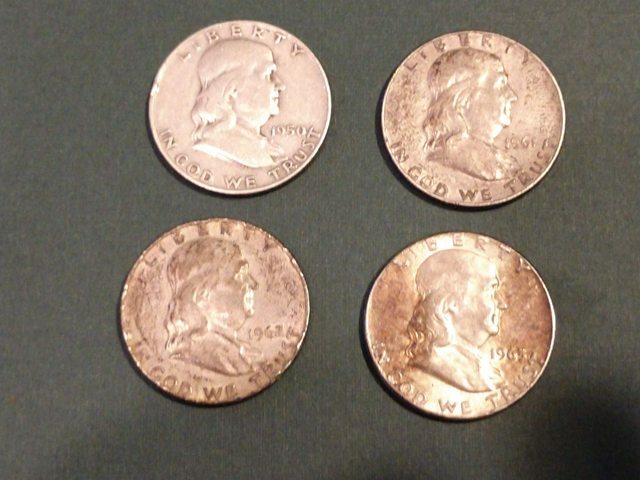 They said one of the tellers had some halves but he wouldn't be in for another hour. 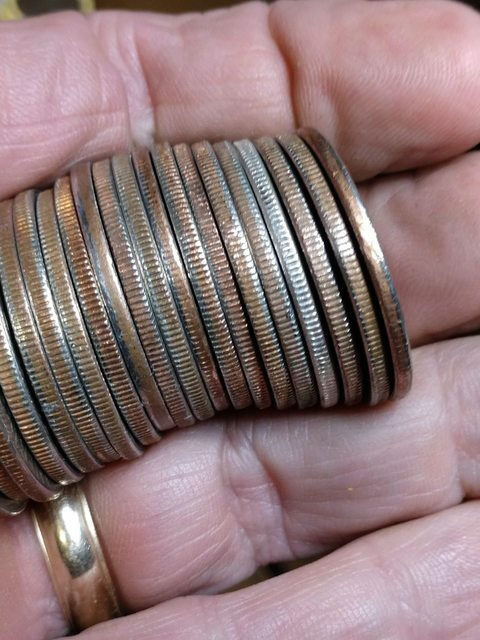 I called back before heading over, talked to the teller he said he had 4 halves, a 1950D 1961D 1962 and 1963! they claimed there were worth about $40, I said I would be right over. On the way there I bought 2 boxes of munchkins and when I got there I gave them the munchkins and got the halves for $2. 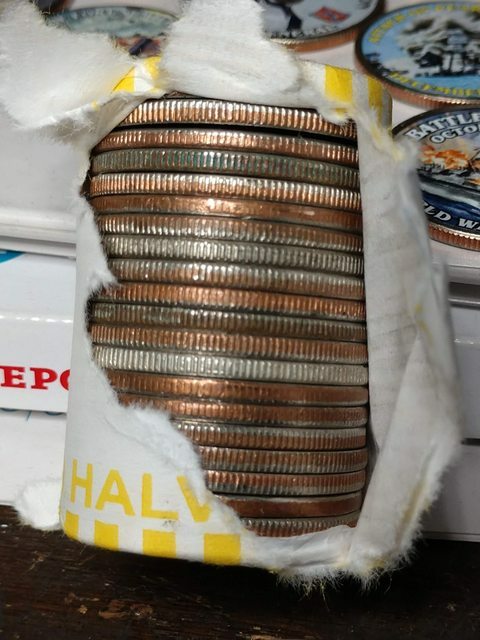 I showed them on the phone app how the melt value of well circulated halves is currently $5.75, they said they must have looked them up wrong. They knew the value of silver but evidently this bank won't let them buy the coins from the tray. OR maybe they were hoping I would offer more for them? Whats the foreign one? Also, do you find many foreigns from Halves? Guessing proofs are rare too? Trying to justify to myself what it'll cost me if I get into Halves :-p Thanks, and happy hunting! 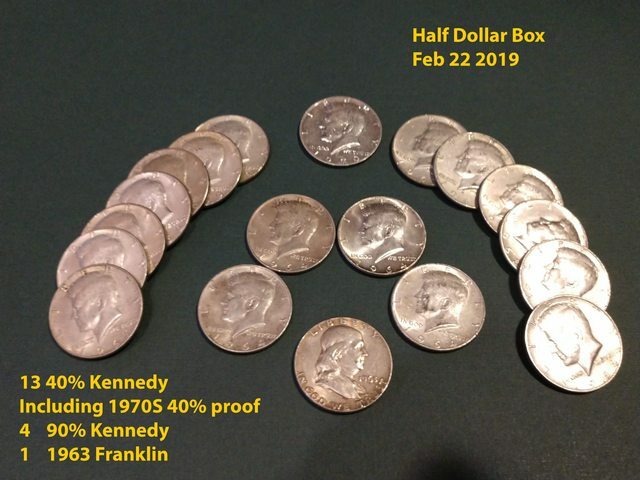 I find about 1 proof every 4 boxes, they aren't worth a lot since they have been circulated and collectors look for pristine ones. The foreign is a Balboa, not silver. Finished the box with the ender, I haven't opened the roll with the ender as I want to show it to someone but I took a "family" picture of the finds from the box. 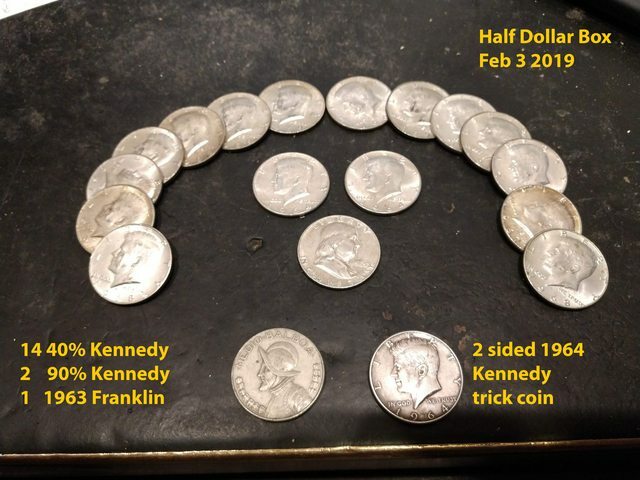 13 40% 4 90% Kennedy's (not counting the ender) and 1 Franklin. Will up date the pic tomorrow. OH also I of the 40% was a 1970S 40% Silver proof! 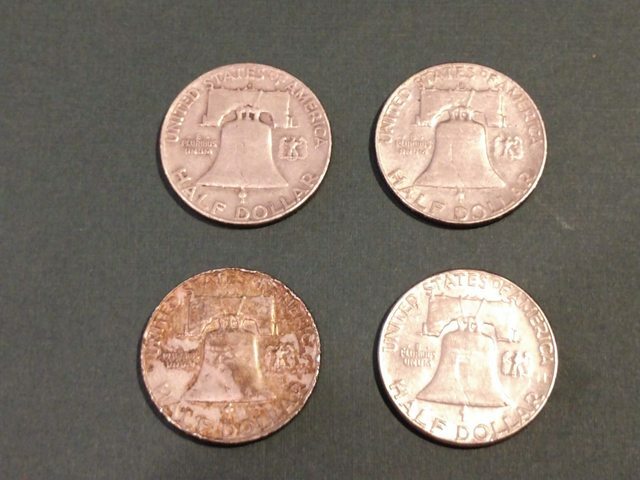 I've found a few of those Balboa coins - but no 1970, S nor D. I believe the 1970 half is an underrated date. Wonder how many of them were melted? I dumped two more skunk boxes today - now up to 19 consecutive. Not a contest I want to win. But at least I got a shingles shot on my way back after dumping and found 1.27 in the coinstar on way out of the safeway after the shot (no silver).